In this post, I will share how we manage social media content for some of our clients. 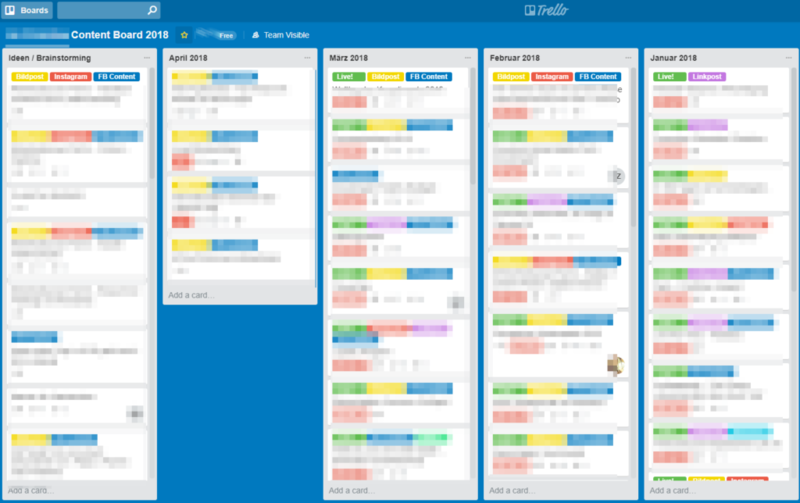 You have heard about Trello – there is no need for introduction. As you know the content in a Trello board is organized in lists. We keep it simple: One list per month, one additional list for ideas/brainstorming. Benefits of doing this via Trello with your client: Your client can follow the process from the idea stage to content getting posted (and way fewer emails sent). 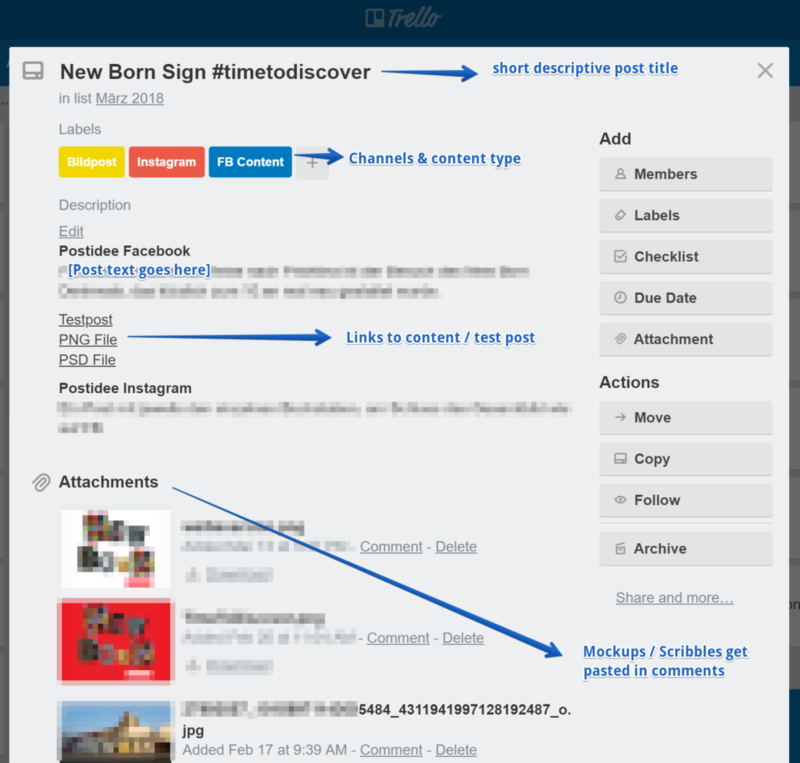 A Trello card holds links to created material, test posts and the post text. Nothing fancy, but easy to use. A simple @mention is what we use day to day when communicating with the client. Asking for feedback on content ideas and the created material, or requests to check out a test post. Notifications can be set on specific cards only or to get notified of every change on a Trello board (that’s important depending on the role you play in a project). There are many tools out there that can be used for that type of work. Asana or Airtable are two tools we evaluated, both are great, but offer way more features then we need in most cases. We still onboard clients which suggest using Excel to plan content (just don’t!). If we wanna discuss the content online with our clients we recently switched from Skype to Zoom (after the latest updates Skype really slowed down our PCs). For every client project, we work on we create a Slack channel that is used internally. 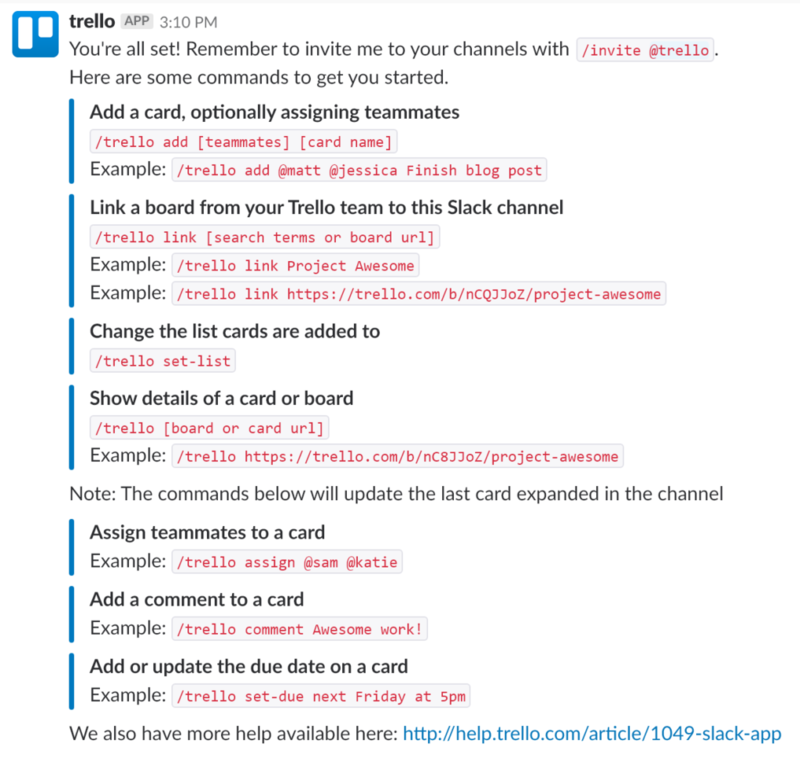 Trello integrates perfectly in Slack, you can create Trello cards from within Slack, change due dates etc. The Trello integration in Slack allows us to discuss the content internally, our clients are not connected to our Slack account. There are lots of tools out there that help you to create a preview of your social media posts (like Facebooks “Creative Hub” or Ad Parlor Mockup Generator). We prefer running unpublished Facebook pages or private accounts on Twitter or Instagram. This gives the opportunity to see how your overall style comes together (especially important on Instagram). Holds all the content created and is linked to Trello. Our client can pick up the final images or videos. Of course, this toolset is a dynamic setup, new tools get evaluated, added or removed from the process. We will keep you updated on how our setup changes!